I say: who’s that Spartan at the part-ay? Cha-cha-boochie! Cha-cha-cha-boochie, Roll call! My name is Arianna, and I love parties. I am a Spartan, so check me out! Whew! Didn’t that feel good, girly? Didn’t that make your soul sing in the way that only finding your life’s purpose can? Forget the fact that you didn’t make the squad; everyone knows that’s just politics. You have the Spartan spirit deep in your bones, and that’s what counts. 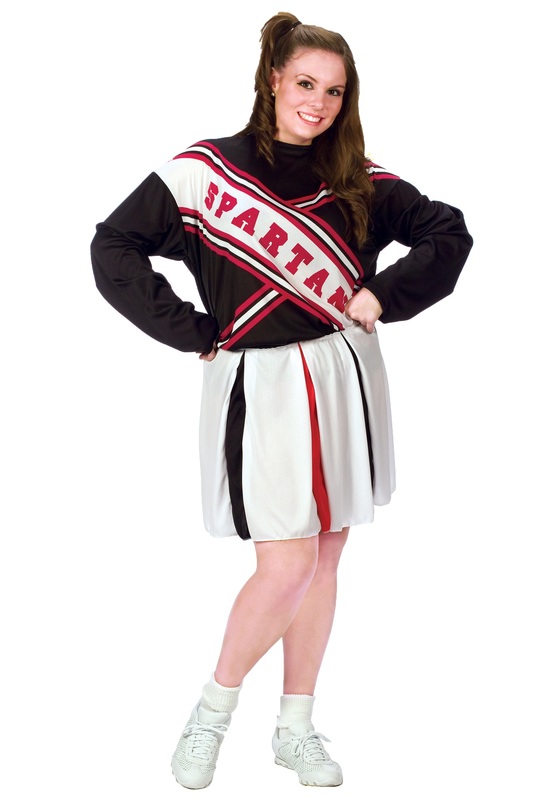 Add a pair of cute kicks to this Spartan uniform, and give your hair a little...personality; tonight it’s all about you. And if anyone at that party tries to tell you otherwise, you send ‘em our way and we’ll get a little R-O-W-D-I-E, ‘cause that’s the way we spell Rowdy round here (our editor is on vacation).